If you work in the construction industry, for example, it is very important to protect your feet as the risk of stubbing your toes on solid objects or dropping heavy things on them is high. But if are one of those who think that safety footwear is too hot to wear, safety sandals might be of interest to you. Often, it is not necessary to wear warm safety shoes during hard physical work or when working indoors or in dry weather. Safety sandals are the solution if your work does not require closed shoes. 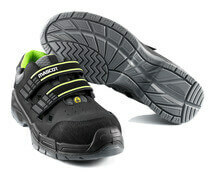 With this kind of safety footwear, your feet will breath more easily by means of vent holes. 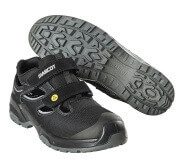 The safety sandals from MASCOT are made of quality materials that provide a great comfort without compromising safety. All of the safety sandals have ergonomically formed toe caps that protect against dropped objects. They also have flexible midsoles that protect against sharps objects penetrating from underneath. Additionally, the sandals feature a shock absorbent element in the heels that absorbs shock and, in this way, protect your legs and back every time you take a step during a working day. MASCOT produces safety sandals that fit every work situation and of course meet all the existing requirements for safety footwear. By means of the product search, you can find the safety sandals that fit your work situation.